In its community guidelines “Don’ts” list, Change.org — the online petition company — makes clear that hate speech against any group is strictly prohibited. So when a user from Fort Worth, Texasposted a petition three weeks ago demanding that Caitlyn Jenner be stripped of her 1976 Olympic gold medal — based on the user’s conclusion that if “she has always believed herself to be truly female,” she “therefore, was in violation of committee rules regarding women competing in men’s sports and vice versa,” — users might easily have assumed the petition would be immediately taken down. The same company guidelines also explicitly state that the site will not “tolerate abuse, stalking, threats, trolling, or any form of bullying.” So, it seemed obvious that when ThinkProgress discovered an 11-month old petition from a Latvian user urging a Sint Maarten-based online forum for computer game hackers to ban a user because “he’s a homosexual,” it would have to go. But nearly a week after ThinkProgress flagged the petition as inappropriate, relying on the company’s community policing process, the petition remained active and open. It was only removed after a media inquiry was sent to the company asking about this specific petition and a series of other petitions that appeared to violate the site’s terms of service. Muslims, undocumented immigrants, LGBT people, people who may be HIV positive, and women who have reported sexual assaults have also faced the sort of hate speech and bullying the site claims to prohibit. At least one petition attacking each of those groups remained on the site even after being brought to the company’s attention. And just last week, in the wake of a racially motivated mass murder at a historically black church in Charleston, a user from Pennsylvania launched a petition defending the flying of the Confederate flag at the South Carolina capitol. As the nation and Internet grapple with questions about how to balance free speech with protecting privacy and guarding against online bullying and harassment, Change.org presents an interesting case study. Like YouTube, Twitter, Reddit, and other Internet fora, Change.org faces daily decisions on what content to permit and what content to remove. But because of its evolution from progressive platform to open petition site, the company has faced some unique challenges as it grapples with the definition of “hate speech” — and several minority group activists and former employees have not been happy with the results. The presence of these right-wing-attack petitions may come as a surprise to some users who share acommonmisconception that Change.org is a progressive non-profit website. While the name and URL give the impression of being a non-profit, it is not. “We are social enterprise and that’s because we have an ambitious mission — to empower people everywhere to create the change they want to see — and to scale that mission, we need a sustainable business model. For the foreseeable future, all of our revenue will be reinvested in the company,” a company spokeswoman explained to ThinkProgress, but the company hopes to someday turn a profit for its investors. Originally, the site had a progressive aim. In 2012 Change.org came under fire from the AFL-CIOfor promoting anti-union petitions for for two education reform organizations: Stand for Childrenand StudentsFirst. According to its IRS filings, StudentsFirst — the group created by former DC Public Schools Chancellor Michelle Rhee — paid Change.org more than $1.6 million for “membership services” in fiscal year 2012-2013. After the relationship came to light, Change.org said it had “listened closely to the community of Change.org users, who have voiced their concerns in response to this decision” and decided to end its work for both groups. Both StudentsFirst and Stand for Children returned to the fold as Change.org customers. Now free to market its services to political forces of all stripes, Change.org has taken on some very conservative clients and is actively seeking to expand its reach into those circles, to boost its revenue from the right half of the political sphere. The anti-LGBT, pro-climate denial Independent Journal Review is a current sponsor, encouraging petition signers who believe in “common sense conservative news” to register with them. Change.org hastakenmore than $108,000 over the past year and a half to expand the supporter lists of the National Republican Congressional Committee (NRCC), the campaign arm of the House Republicans majority, according to its filings with the Federal Election Commission. The questions of how to handle hate speech are not unique to Change.org. Sites like YouTube also rely on user policing — but this approach requires significant resources to review flagged content. YouTube says it has staffers doing this 24 hours a day, seven days a week, so it can quickly remove any inappropriate content. Other more neutral platforms, like Twitter, prohibit illegal activities but allow hate speech. Recently, Twitter changed its violent threats policy to make clear that threats of violence against others and the promotion of violence against others are prohibited (previously it had only barred “direct, specific threats of violence against others”). Last month, Twitter permanently suspended a user described by the Washington Post as “one of the Internet’s most infamous trolls,” after he tweeted seeking funds to help “take out” a civil rights activist. And even beyond harassment, online companies each take varying approaches as to how they moderate user content. Facebook is well known for having an aggressive moderation system. Last year, it had to apologize to drag queens and other members of the LGBT community who were suspended due to a strict “real name” policy. On the other hand, a group of users of Reddit — a site famous for supporting almost any type of speech — left the site earlier this year, claiming censorship after some moderators deleted threads they considered to be harassment. The international attention the anti-Jenner petition garnered was enough to draw a response from the International Olympic Committee: A statement from its communications director affirming that “Bruce Jenner won his [sic] gold medal in the 1976 Olympic Games and there is no issue for the IOC.” This response generated even more attention and widespread internationalnewscoverage. Though the petition is carefully worded to not appear overtly anti-trans, going so far as to include “congratulations to Ms. Jenner for her courage,” LGBT rights activists said its plea for Jenner to “support the transgender community by giving up the medals earned by competing against the wrong gender” seemsdesigned as an attack on both Jenner and the transgender community. One such activist is Michael Rogers, the executive director of Netroots Connect (a conference for LGBT media and activists). He told ThinkProgress that for several years he has observed that a large number of anti-LGBT petitions have been posted on Change.org and not removed, even after the company was alerted to them. And he believes the company’s business model relies on these petitions, but tries to hide it. Rogers noted that violence against transgender people is an ongoing problem and expressed concern that anti-trans petitions could contribute to a hostile climate. Less preposterous (but still anti-LGBT) sentiments have also been evident in large petitions to support anti-LGBT activists like Phil Robertson of Duck Dynasty and the DuggarFamily of 19 Kids and Counting. Rogers noted that when he created a similarly outrageous test petition — a demand for the Supreme Court to reverse Loving v. Virginia (the 1966 case that overturned state laws banning interracial marriage) — Change.org deleted it almost immediately. But a ThinkProgress review of currently active and closed but still visible petitions found one urging someone to “stop being a [racial slur]” and another demanding the deportation of “illegals” who it claims are spreading cholera and tuberculosis in the United States. Opposing drivers licenses for undocumented immigrants. The petition’s 1,000-plus signers agreed that “What should be done is to make illegals follow the laws like everyone else and become a citizen. A license is a privelege [sic] and should be earned. We continue to give all kinds of benefits to people living here illegally and it needs to stop. 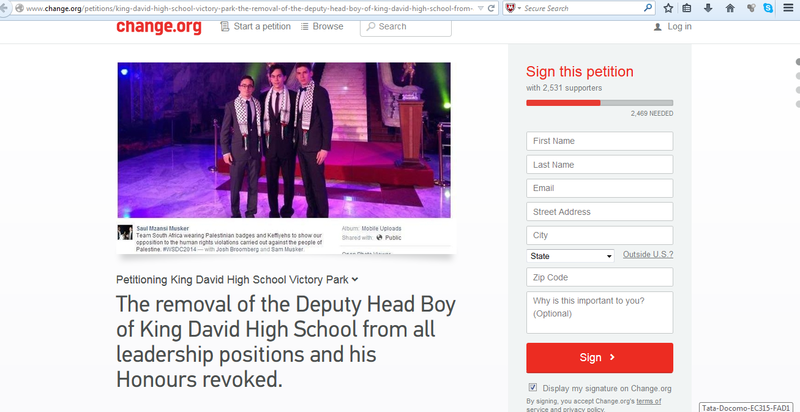 Do not continue to reward illegal activity.” The petition is now closed but still online. We have policies with ethical standards, including things like fact checking, around the campaigns we promote. A former Change.org staffer told ThinkProgress that in the past, a petition like the anti-Jenner one would most likely have been removed by a team of staffers that reviewed each day’s new petitions for hate speech. The staffer, who asked not to be identified as his current employer did not authorize him to speak on the record, said it is “reasonable to assume” that the identities of the people who signed the Jenner petition and those like it will be used to help market the site to conservative businesses. The former staffer also noted that while Change.org claims to be an open platform where grassroots activists create petitions, during his tenure there, “the biggest campaigns didn’t just happen — they were engineered internally, with Change.org finding a petition starter, creating a story for the media about how this perfect person just happened to show up to start a campaign about an issue they just happened to be the perfect person for.” As such, according to this former employee, the company played a large editorializing role beyond just allowing an open platform — and may well do the same on behalf of the conservative organizations the company is now actively recruiting. In addition to being a former Change.org contractor, Todd Heywood is a freelance writer and an expert in HIV criminalization and discrimination issues. Now, he said, the site has become a haven for offensive right-wing rhetoric, including petitions outing people who are allegedly living with HIV. They say they are not a place where bullying or harassment is allowed. This [kind of petition] is both. The letter, sent to Change.org, noted that company’s definition of a petition was “a public message to one or more decision-makers, asking them to do something” and that the posted accusations “may not even qualify as a ‘petition.’” It also noted that the petition’s language calling the accused “already known for having AIDS” clearly “maligns a person based on a condition he may live with — a characteristic about himself that he cannot change,” in violation of the official hate speech guidelines. If we received a claim from the man named in the petition, we would consider removing the petition but, in the absence of that, it’s the petition starter’s choice whether they want to edit or remove their petition. As an Internet platform, it’s not our place to judge people’s guilt or innocence nor to fact check every claim in the 30,000+ petitions that are started by people on Change.org every month. We don’t evaluate hypothetical situations publicly, but I want to stress that if a petition was written with the sole intention of revealing someone’s HIV status or to malign all people with HIV, it would almost certainly violate our terms and be removed. Change.org points to a number of progressive victories as evidence of the site’s influence. In April, they note, Netflix pledged to make all of their major original programs accessible to the blind, after more than 3,000 users urged them to do so. An Indiana lawmaker stripped language from his own bill in February after more than 236,000 people signed a Change.org petition warning it would hinder anti-bullying efforts in schools. After nearly 70,000 people signed a petition urging a policy change, the international basketball governing body agreed to allow players to wear religious head coverings. It can be hard to gauge how much of an impact the petitions had in making the highlighted victories happen — and what constitutes a win. A 2012 petition highlighted by Change.org suggests that it helped Trayvon Martin’s parents win “justice” for their son. Though charges were filed against Martin’s killer, George Zimmerman, he was acquitted in 2013. In an email to ThinkProgress highlighting the site’s victories for LGBT causes, Change.org’s Schoop noted, “Just today, a petition got [former Arkansas Republican Governor] Mike Huckabee kicked out of a conference hosted by the Jewish National Fund in Canada for his views on LGBTQ issues.” But the petition she linked to had garnered just 31 supporters and the news article mentioned in her email quoted the Jewish National Fund’s CEO saying that the petition “had absolutely no impact whatsoever” on the group’s decision to cancel Huckabee’s keynote speech. The impact of some of the petitions, however, is undeniable. After Scouts for Equality and former Cub Scout leader Jennifer Tyrrell collected millions of signatures urging the Boy Scouts of America to eliminate its anti-LGBT policy, a largely-dormant movement was reignited. The organization lifted its ban on gay youth in 2013 and last month its president called for an end to the national ban on LGBT adults. As for the question of why the list seemingly omits conservative victories, like the petition to keep Phil Robertson and Duck Dynasty on the air, Schoop had no response. While many of the hateful petitions posted on Change.org receive only a handful of signatures, their presence can have a harmful effect, activists say. A since-removed petition seen by ThinkProgress calling for President Obama to “remove overly homosexual fagboy [name omitted] from existence” attracted just 14 signatures. But, critics note, this sort of petition need only be seen by that individual (whose apparent photo appeared in the petition) or one of his friends or family to cause serious damage to the person’s safety and well-being. When you perceive someone as less-than a full member of society, you’re more likely to start denying basic rights. “Any time you have rhetoric in the body politic that is toxic, it sends a message to the targeted group — whether it’s LGBT, immigrants, Muslims, Jews, or even Christians — that [they] are less-than in American society. That helps create all sorts of insecurities for the individuals as well as social safety issues. When you perceive someone as less-than a full member of society, you’re more likely to start denying basic rights,” the former Change.org contractor Heywood warned. Change.org founder Ben Rattray has saidrepeatedly that he created the site precisely because he wanted to support minority communities. Rattray told the San Francisco Chronicle in 2012 that his younger brother came out to him as gay before the rest of his conservative family knew, and that he regretted not supporting him sufficiently. As his brother’s school attendance declined, he began experimenting with drugs, and he threatened to run away, Rattray stayed silent.